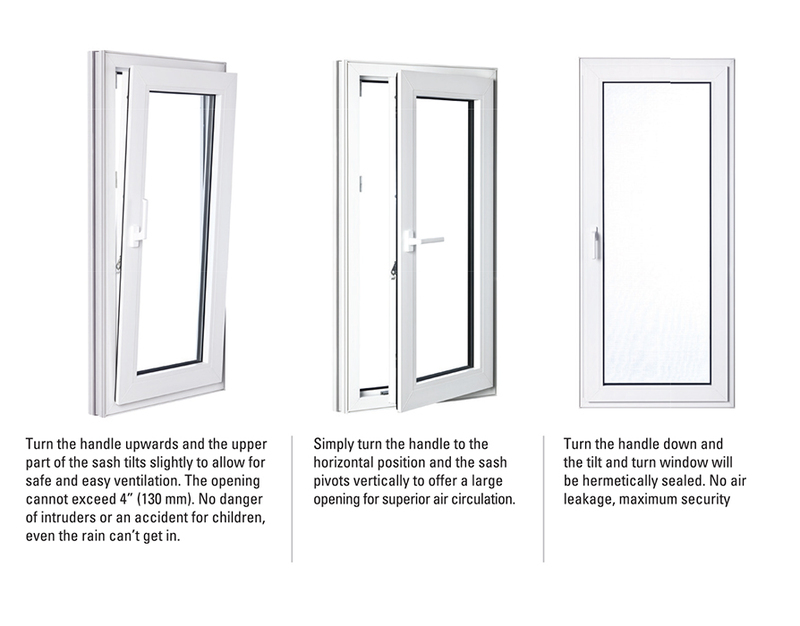 Our Tilt and Turn doors feature sophisticated technology for truly outstanding performance. 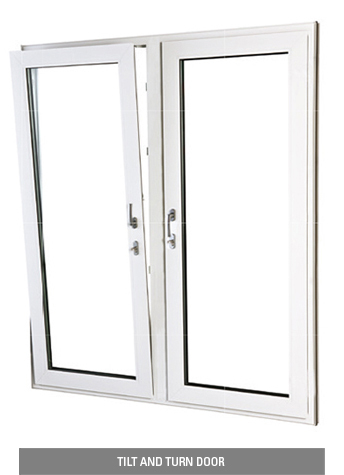 Strassburger Tilt and Turn doors are designed for maximum brightness and unimpeded views with a unified and consistent look that makes them ideal to pair with existing windows and doors. 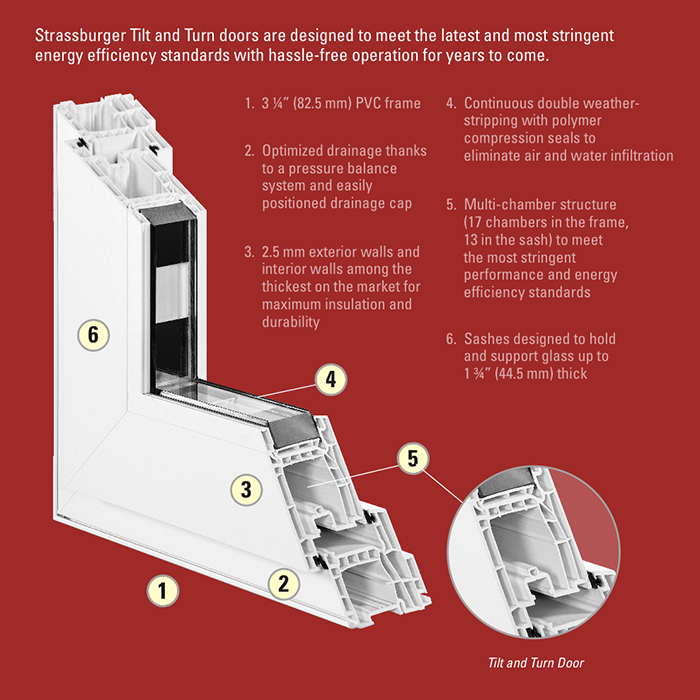 Strassburger Tilt and Turn doors are designed to meet the latest and most stringent energy efficiency standards with hassle-free operation for years to come. Standard frame and door colours are white and beige. A variety of features and options are available in this window type including different frame finishes, hardware and grille styles. NOTE: Tilt and Turn doors are NOT available in Craftsman finish.